Potato skins are a Super Bowl standard but all that fat in the cheese and bacon are out if you’re on a low-salt, low-fat diet. But a reader of this blog recently suggested making mashed potatoes using low-salt chicken stock rather than butter and milk. So we’re adding these as an option for our week of Super Bowl treats. I tried the idea and loved it, so I thought why not take it to the next level but using the mixture to make a twice-baked potato? Simply bake several large potatoes until they are soft to the touch. They can be done in a microwave as well, check yours for cooking times since that varies by microwave. 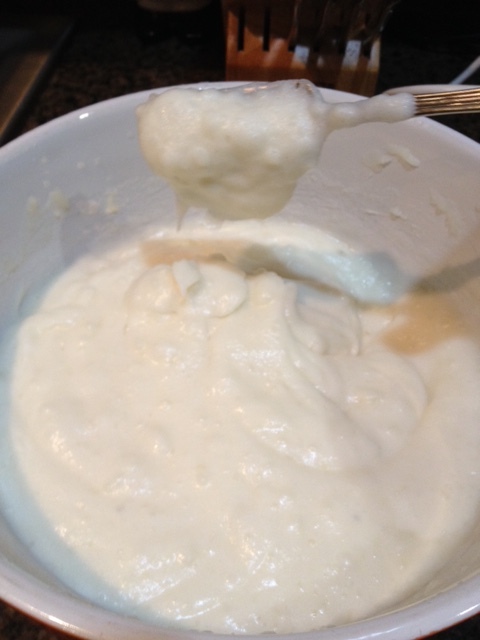 All you need for fat-free, low-salt mashed potatoes. Add soup slowly and mash to get the consistency you want. This first attempt of mine got a little too mushy. Once the consistency you want, spoon into your potato skins and broil a few minutes to brown the tops. 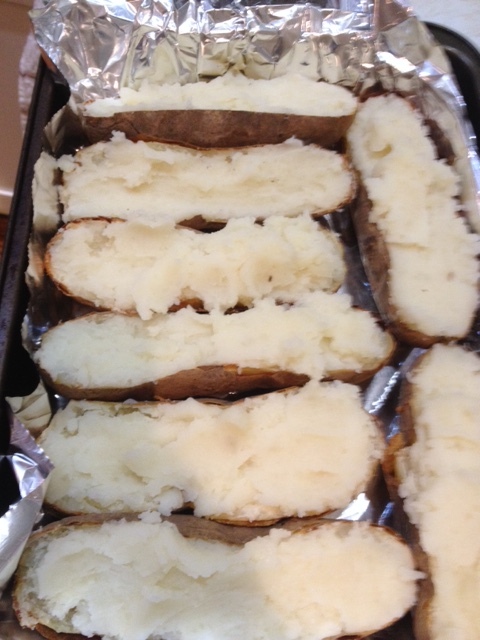 Once they’re done, cut length-wise and scoop out the potato inside leaving the half-skins intact for refilling. 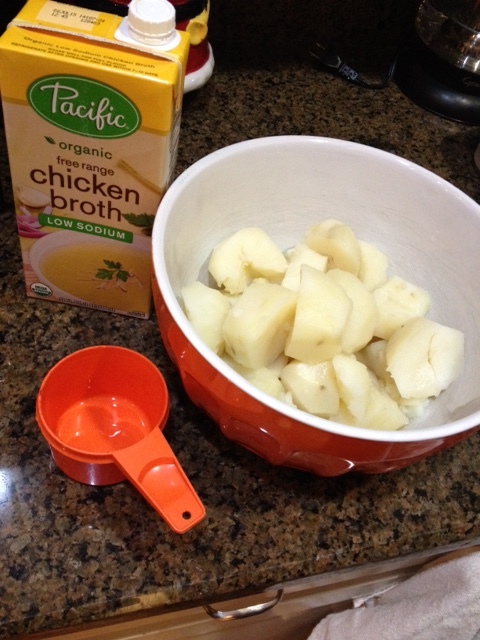 Combine the potato pulp with low-salt chicken stock, the variety I use has only 75 mgs per cup. How much stock to use depends on how much potato you have, start pouring some in slowly and try mashing (I use a hand mixed for that). Add more stock as needed to get the consistency you like. The first time I tried this, I measured out a cup of stock but it made the potatoes too mushy, so go slow in adding the liquid. Once mixed, spoon back into your potato skins and cook under a broiler until the tops get brown peaks. Add chives or parsley to them as well if you like and serve. If you can handle the added salt, you also can add some fat-free mozzarella to get some cheese on them. You certainly won’t feel deflated (get it?) after eating one or two of these.